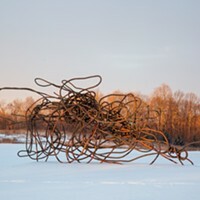 Ashokan Field Campus’s 14th annual Winter Weekend intends to rouse the interest of numerous sorts of people—teachers, artists, nature enthusiasts, and even those who prefer to lounge indoors. The three-day event offers a variety of hands-on activities. Interpretive hikes are led by Ashokan instructors who stop at various locations like the Old Mill site or the Bluestone Quarry along the way, explaining their historical significance to the area. The Colonial Craft Village offers an opportunity to experience the smell of coal smoke and the effort required to shape tin into a useful product. “We teach about how products were made in the past and about the history of a craftsman’s life, from apprentice to master,” says Brian Joyner, Ashokan’s coordinator of special programs. 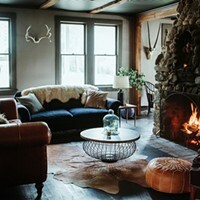 The event will also provide numerous creature comforts, beginning with live music by Jay Ungar and Molly Mason. Buffet-style meals will be prepared by a graduate of the Culinary Institute of America with a variety of tastes and diets in mind. There is a limit of 120 participants for the weekend. Joyner compares the event to a vacation at a ski lodge, where some people prefer to remain inside and socialize—perhaps enjoying some jack wax, a taffylike substance made of maple syrup that’s been boiled and poured over snow—while others prefer to be outside on the trails. 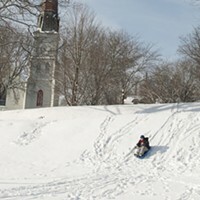 For those who can’t spend the entire weekend, Ashokan presents a one-day Winter Festival offering some of the same activities as the Winter Weekend, such as snow tubing and access to the Colonial Craft Village.